The holidays are quickly approaching, and most people anticipate the fun and laughter of large family gatherings and holiday parties. If you have a loved one with Alzheimer’s disease, however, you may be experiencing very different emotions. 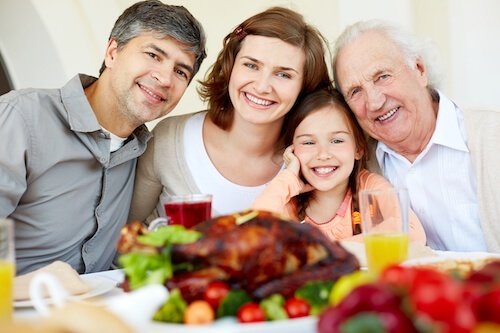 Alzheimer’s can present significant challenges for holiday gatherings and activities, and you may be feeling nervous or stressed about how you will help your senior family member cope. Caring for someone with Alzheimer’s can be a lonely responsibility, but you can alleviate some of the stress by planning ahead and getting the help you need. Follow these tips for a successful holiday season. Prepare Ahead of Time- Talk with other family members about your loved one’s challenges and ask them to help you plan activities that he or she can enjoy. Prepare them for potential mood swings, personality changes, or memory loss and help them know how to respond. 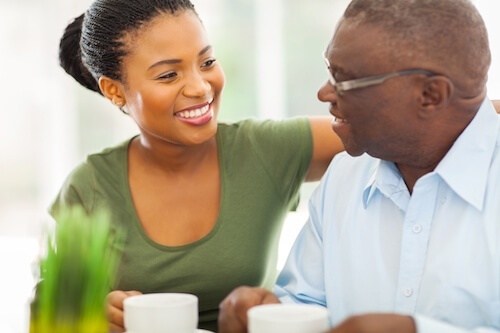 Tell Your Loved One What To Expect- Talk with your senior family member about what will take place and show him or her pictures of the family members who will be visiting. If possible, schedule visitors in small groups so they don’t feel overwhelmed. You may also want to plan for quiet times so your loved one can take a break from socializing. Help Other Family Members Know How to Interact- Think of ways to include your family member in group activities such as baking, looking at family photos, or watching a favorite holiday movie. Ask visitors to interact with your loved one without criticizing if he or she has trouble communicating or can’t remember a person or event. Maintain a Safe Home Environment- It’s easy for things to get crazy during the holidays, but seniors with Alzheimer’s need a consistent, safe environment to avoid accidents and injuries. If you need to set up extra chairs and tables, leave plenty of room for walking and give your senior loved one a place where he or she can sit comfortably and enjoy conversations with minimal distractions. Make sure someone stays with your family member to keep a watchful eye for hot stoves, accidental medication overdoses, and fall risks. Choose Gifts Carefully- Select gifts that don’t have challenging instructions, dangerous parts, or complicated, ongoing care (such as plants or pets). Consider items that carry sentimental meaning such as cookies baked from a family recipe or a favorite movie or CD. Consider Respite Care- Don’t feel bad if you need to take a break from caregiving. Caring for someone with Alzheimer’s disease can be a mentally and emotionally draining job. No matter how much you love your senior family member, there will be times you need to rest and recuperate. Respite care gives you that much needed rest while ensuring that your loved one still receives assistance. Home care can provide the help your family member needs as you navigate the busy activities of the holidays, allowing you and your family to relax and enjoy making memories. If you have additional questions about how to choose the right care agency for someone with Alzheimer's disease, download our FREE Guide.